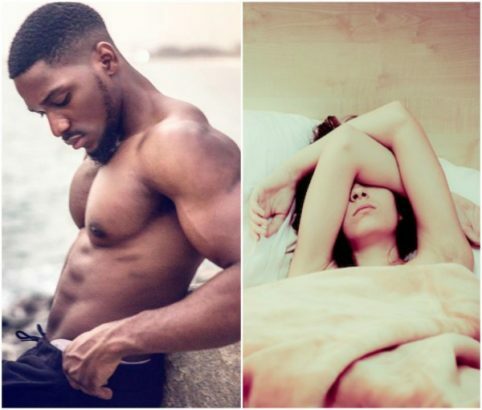 It seems the alleged ex-girlfriend of Big Brother Naija top housemate, Tobi, seems to be going wild with disclosures from the past about the reality show star, who she claimed she dated in Unilag . 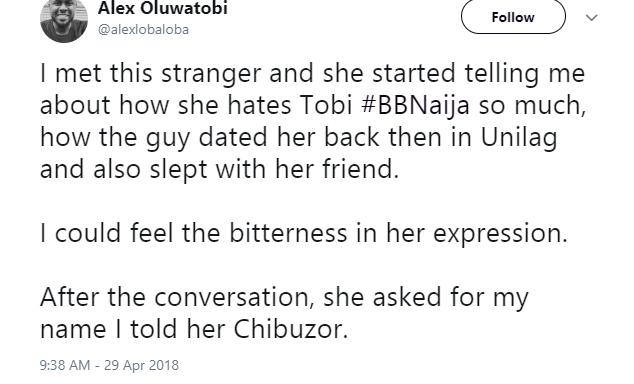 According to Tobi’s ex-girlfriend, expressed her bitterness after she met a Twitter user named Tobi after church. "I met this stranger and she started telling me about how she hates Tobi # BBNaija so much, how the guy dated her back then in Unilag and also slept with her friend. I guess he cheated on her blablabla… Who cares anyways? Real life o….after church today". The graduate of the University of Lagos is from a wealthy home and resides in one of the top-notch areas of Lagos State. Tobi Bakre made this list “Meet The Rich Kids Of Nigeria & Their Flamboyant Lifestyle” in 2013 and also in 2017. The list is reserved for the creme de la creme of the society. Aside his father’s wealth, Tobi is also doing well for himself in Investment Banking. He has been described as one of the Yoruba Demons flaunting their wealth and opulent lifestyle on social media.